Time never ceases to march forward, even when we stop looking at it. I went away for my sister’s wedding, and left the garden in the care of a trusted friend. I wrote up a simple list of water guidelines, and hoped for the best. Without my watching eye, perhaps because they sensed my absence, and although with promises of my friend of care, many of my plants looked haggard upon my return. What happened? They looked watered, they hadn’t dried up. They just looked sad. 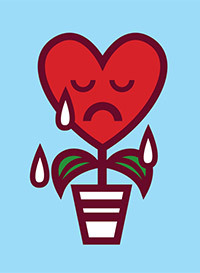 I’ve heard it before, many people have said at one point or another, “my plant looks sad”. Are we just anthropomorphizing? 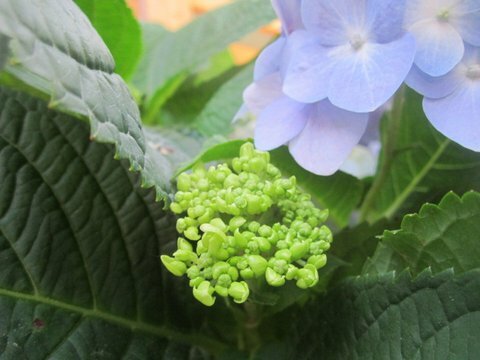 There are studies that show that plants have senses. Just last week there was an interview with Daniel Chamovitz, author of What a Plant Knows in Scientific American. See here. 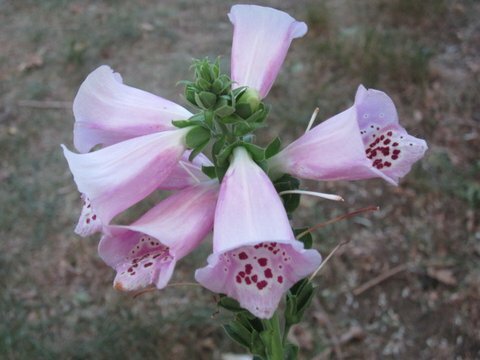 There is even an entry in Wikipedia about Plant Perception, although under the paranormal wiki. I have to remind myself that the reason behind my veganism is to cause the least harm (harm-reduction): to animals, the planets, and my health. 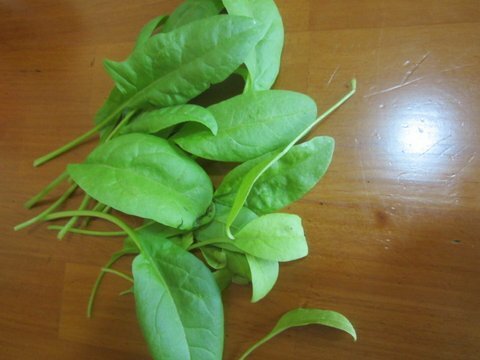 If it were not for plants, what would I eat? What then is our ethical obligation to plants? Am I being as callous as meat-eaters? Or as utilitarian as Peter Singer? 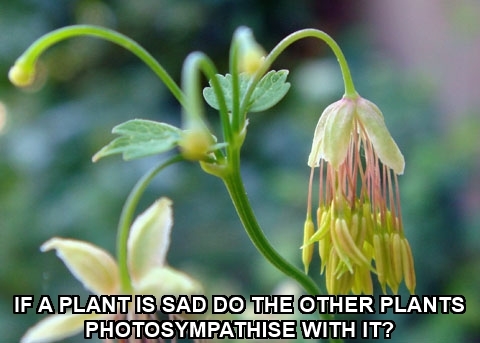 Surely my plants missed me. And I them! Throughout my time in Arkansas, I visited private gardens, for the first time having the common lore of gardeners. 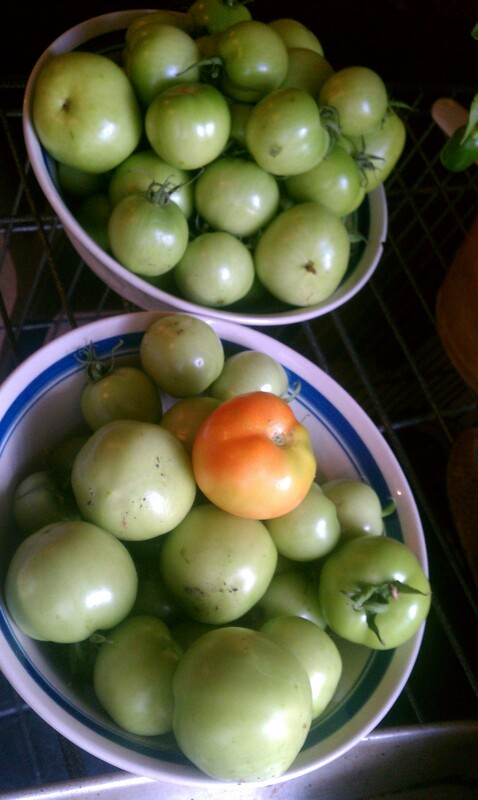 Inevitably the remarks turned to this same theme “Oh, look at these tomatoes, they sure look happy!” All the while, my own garden invaded my thoughts, and I even called my friend to make sure my plants were doing ok.
“None have died. I’ve been following your list of instructions to the detail.” He promised. They did not die, but they sure missed me. 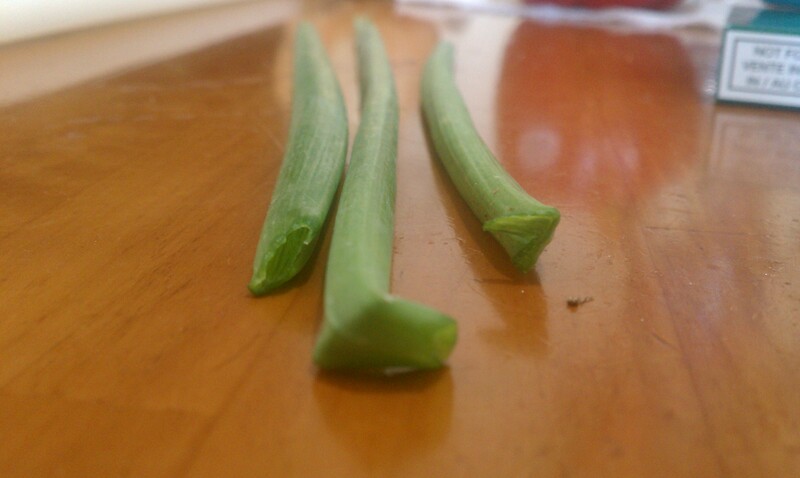 Oh, my sweet plants, I am here and back with you, to carry you in your life. I realize that I left you for a week, but I am back. And so glad that I am. There’s nothing lazy about this Sunday in the garden, but it is a lazy Sunday for the blog. I’m in the process of staking my tomatoes, a post will be coming up about that this week. I’m taking an iced coffee break because it’s scorching hot right now. Happy Sunday, Happy Father’s Day, Happy Gardening! Easy on Fridays: Spice it Up! 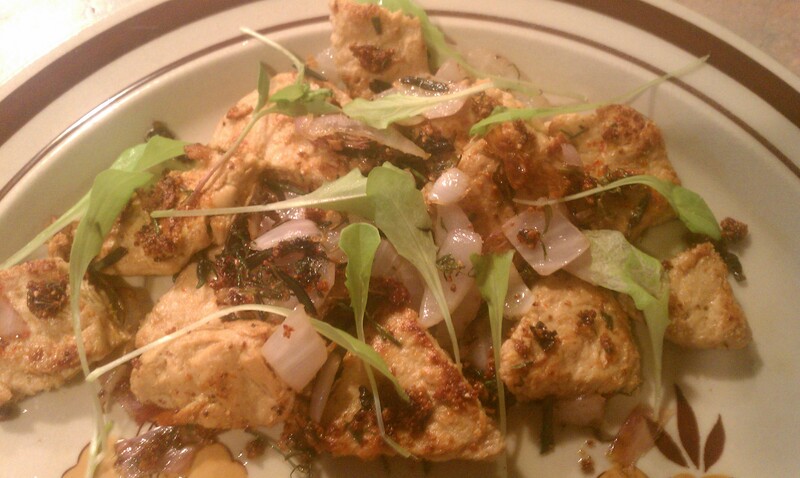 Mock chicken (Gardein) spiced with a lavender sprig, dill leaves, and chives and garnished with some micro-greens. All spices and garnish fresh from the garden. Bon appetit! As the summer takes on full steam and the garden thrives, I find myself consumed by plants. Every waking minute I am either thinking about plants, reading about plants, or noticing other’s plants wherever I go. It’s a healthy obsession, and a few days ago my thoughts wandered to the origins of my gardening. It seems like several lifetimes ago when the people I lived with and I decided to fix up the backyard that came with the apartment we rented. During the cleanout process we stumbled upon some wooden sticks protruding from the ground. Only a handful of yellowed to brown leaves remained on the sticks. A voice that was mine but that I did not recognize said “let’s save it”. The people I lived with insisted it was dead. “Don’t bother.” I stuck to my guns and we did not remove the unsightly sticks. It was not the best time in my life, in fact, it was the worst, but something happened while I lavished the plant with my attention and affection. It whispered thoughts of resilience, hope, transformation, growth. Thoughts that lingered in my unconscious. 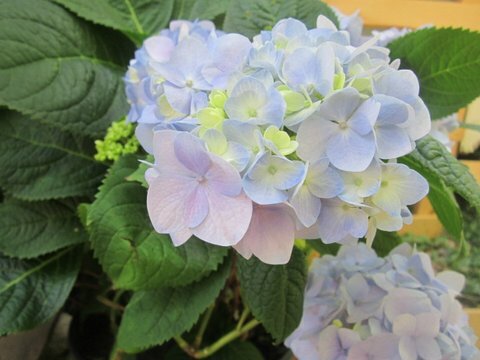 Fun fact: the color of the flowers are influenced by the type of soil they grow in. 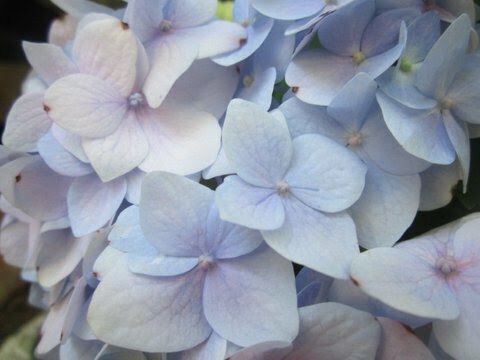 Blue when grown in acidic soil, pink when in alkaline soil. 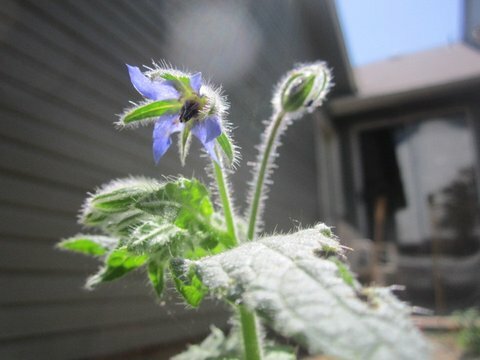 Some years later I now look back to that plant, who grew from bare burnt stems to beautiful blue blooms with adoration. 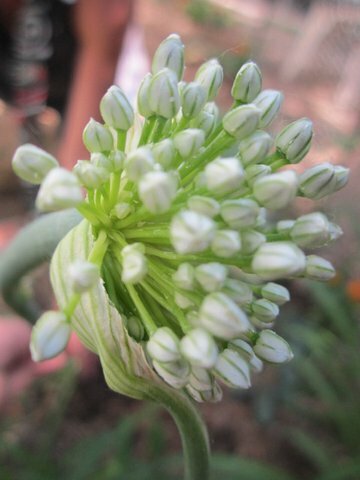 I too have bloomed since then, have transformed, have discovered my own resilience, my own growth. Earlier this week I walked in Lowes to buy some wire (for tomato cages, weekend project!) I came upon the same plant in the distressed section. Although I never shop for plants in big box stores (I grow organic) I couldn’t help it. Here she was again, in need. She who helped me grow, who introduced me to gardening, who taught me to believe in myself, here she was again beckoning for help. And here she is in my garden. The brown leaves pruned, the overgrown bare stems cut back, after some serious watering, and much love, she now stands tall and beautiful, singing the same songs of hope, resilience, and faith. Today they aren’t thoughts for burying. Today I sing with her, as we share the same lyrics. In the hope of increasing my water conservation efforts, and because I am not around all day long to watch for signs of evaporating water from the garden, last weekend I layed down a layer of mulch. I considered various kinds of mulch, straw, pine needles, dried leaves, rocks, plastic sheets. 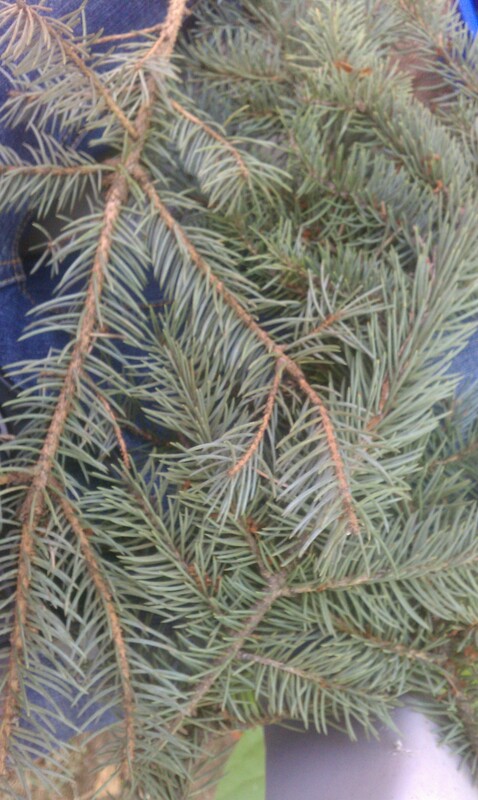 In the end, because I want everything to be of use and to give back to the garden, I opted for pine needles. This year the plot is mostly comprised of tomatoes, peppers, chilis, and eggplants. 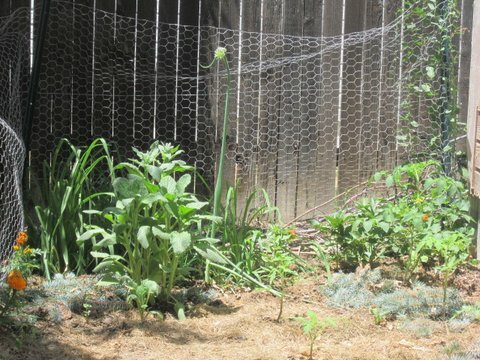 Everything else in the ground is a friend to these stars, like the borage, the basil, the catnip, and the marigolds. Pine needles seemed the best option for my acidic-soil loving plants. On Saturday morning, armed with determination, I strutted to the back of the backyard to cut down some branches off the pine tree. I sat down comfortably and proceeded to strip the branches of their pine needles. Yes, I thought this was a brilliant idea. An hour later, and the temperatures rising well into the 90s, I had enough pine needles to cover maybe one plant. Great, I thought, only fifteen plants to go. The heat was becoming unbearable. Desperation was increasingly building inside of me. “The plants! The plants! They will die of thirst! Hurry with those pine needles! You won’t have enough time! Why did you procrastinate so much!” These thoughts were sounding louder and louder. “Enough” I said, as I noticed the yelling in my ears. “Look around. What else can you use?” and just like that, I was guided to the farthest corner of the yard. There, hidden behind some broken branches I discovered a mound of grass clippings pushed against the fence. Perfect! I grabbed the biggest bucket I could find, and carefully sorted through the clippings to make sure there were no weeds hidden among them. So, I now have dried grass clippings as mulch. Eventhough it was a desperate deviation from the plan, I still love it and so do my plants. Back section of garden plot after mulch was laid down. It always takes me aback how impressive is the decrease in water needs once there is mulch in the ground. It reduces the evaporation of water from the ground, protects the soil from erosion, prevents weeds from sprouting, and if using organic mulch it also feeds the soil as the material decomposes. 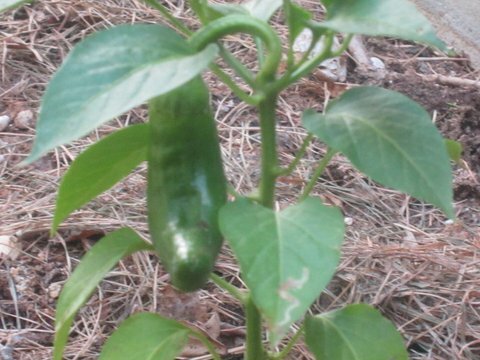 Mulch around my growing Anaheim Chili plant. The experience reinforced in me the need to adapt to the flow of life, instead of succumbing to desperation and anxiety, calm yourself. Find your center and you will find an answer. Pine needles were my original goal, but the glass clippings work well and were certainly a lot less work than breaking up pine needles from a branch. When we allow our intuition to guide us, we end up with the right answer at the right time, and in this case, one step closer to sustainability in the garden. Toddlers are naturally curious. The world and everything in it is fairly new to them. Now that they have mobility and a developing hand eye foot coordination, it’s only natural that they want to touch, grab, taste, figure out how things work, and just investigate the world that surrounds them. 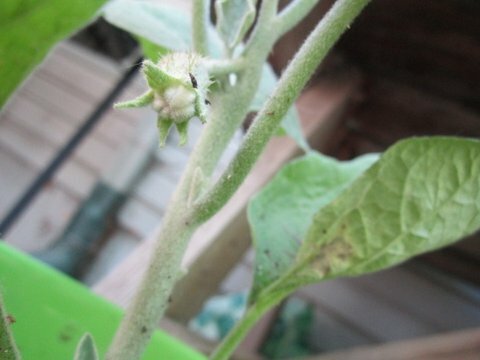 Unfortunately for a mama gardener, that also means touching, hitting, digging and swatting at plants, often the plants that we put so much effort into growing. So, how to keep a toddler from destroying the garden? Enlist their help! 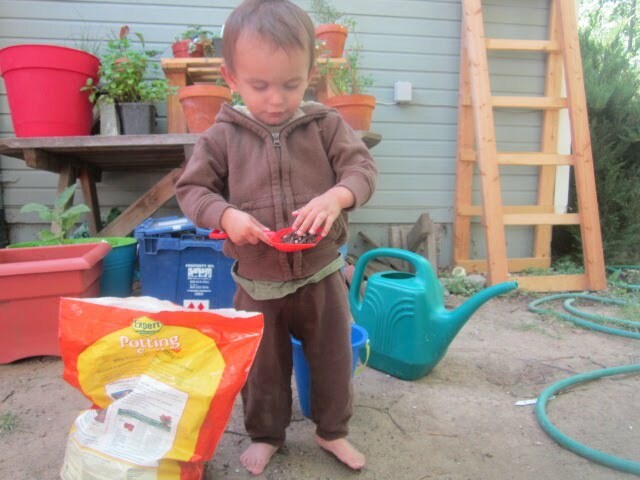 I set aside a bag of soil for him to play with, along with his own pots, a pail and a shovel. This keeps him entertained while I repot or transplant plants. I sometimes ask him to help put the real soil in the real pots I am about to use. 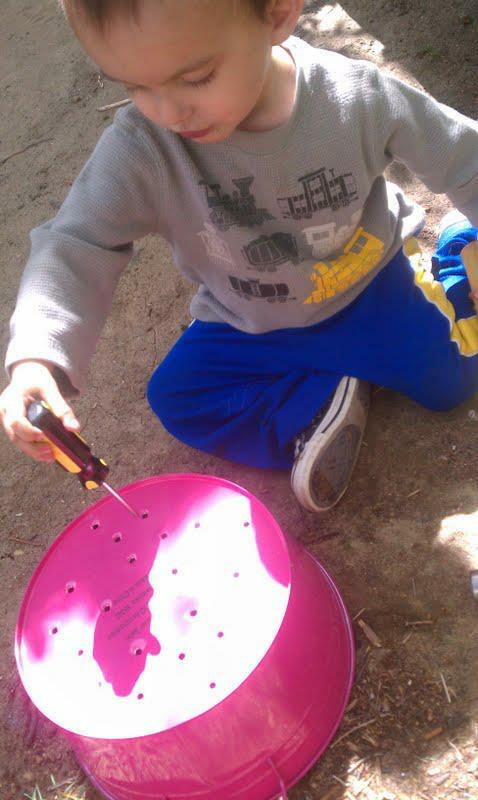 With supervision, I also let him water some of the plants with his own watercan. The trick is to pay as much attention to him as the plants. On occasion, if my attention favors the plants, he has acted out by hitting a plant. He has particular contempt for my Eucalyptus plant for some reason. In that instance, after the terror bells go off in my head over the poor plant, I call him over and in my sweetest calmest voice go over the spiel for tantrums (I realize you’re angry, can you tell me what you would like? 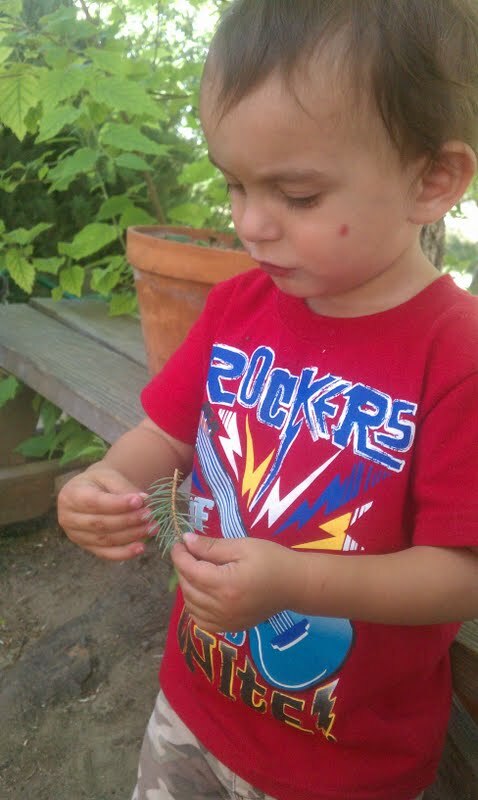 etc) and once his needs are met, I explain to him that it’s an owie for the plant. This usually has him blow kisses to it with his apologetic eyes. I’ve gone so far as to explain photosynthesis to him and the importance of loving and caring for plants and trees for the survival of our species. I know this goes over his head now, but I hope that as we continue the dialogue well into his childhood, some of it sticks. I hope to impart my love of gardening to him. 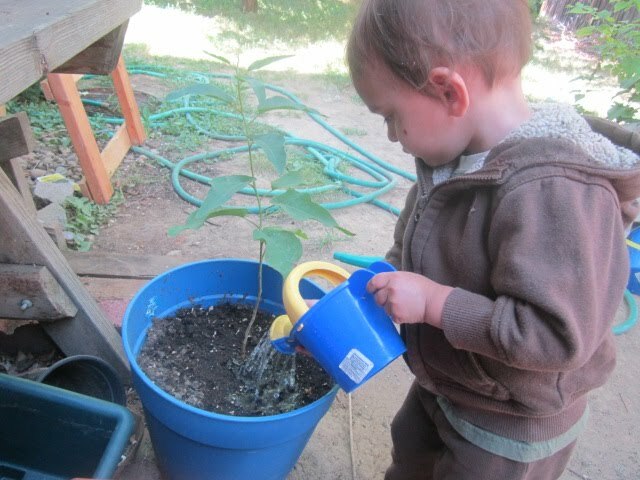 I hope someday he shares my feelings about gardening. That it’s not just a fun hobby, or a way to eat yummy tomatoes, or a way for the individual to feel connected to the earth and the cosmos, but that it’s also a way to participate, albeit in a small way, in the creating of oxygen for the planet, and to become part of the resistance to the Monsanto giants who relish in making a profit while poisoning our food. For now, it’s all about sharing a moment together. In our busy lives, my Garden Assistant and I relish slowing down and gardening together. 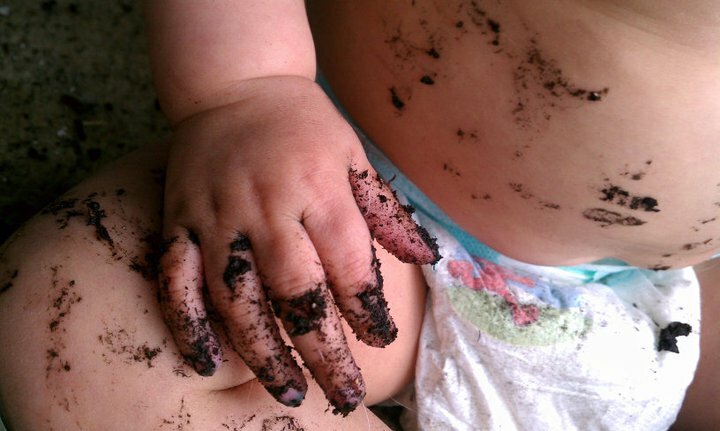 So, if you have a toddler on your hands, have them help in the garden! They’ll love to feel useful, and included, you’ll be able to form beautiful memories together, and you’ll have less mangled plants when you’re not looking! 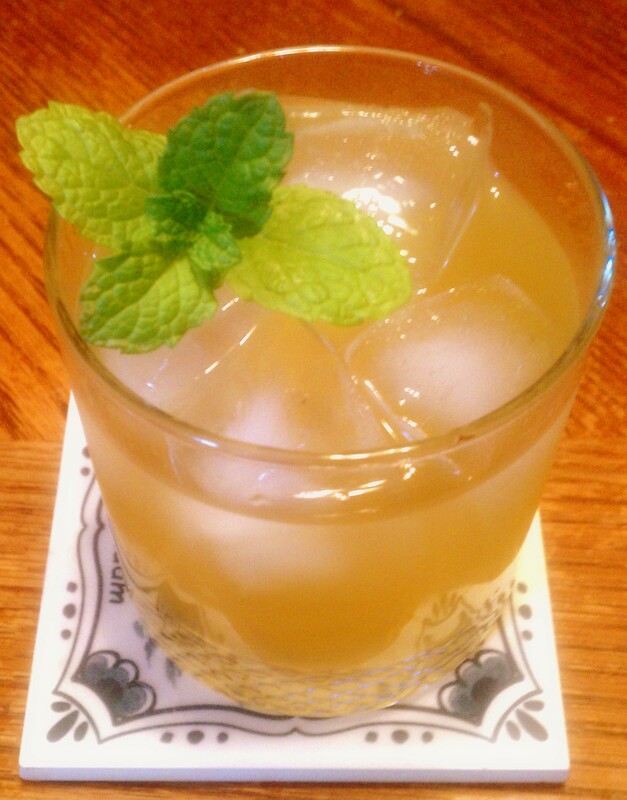 Garnishing a margarita with Spearmint from the garden! Cheers!